If you ever played paper RPG Death Maze, Citadel of Blood or Labirynt Śmierci then you already know this game. DG is a tribute to this RPG (three names but game the same). In Dark Gates you lead your team of 6 heroes into dungeon where they will fight their way through in order to destroy Dark Gates and evil mage who is the master of the dungeon. 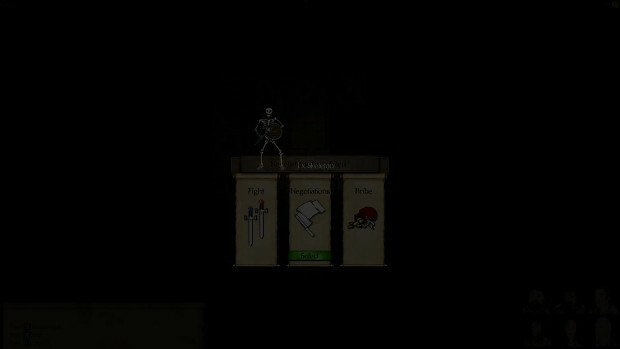 Main feature of the game is dungeon itself. This is no predefined layout and every time you play, map is always different. Dungeon creates itself as you play. In your quest you will find monsters, magical items, trap, puzzles and treasures. Glory awaits one who destroys Dark Gates and evil mage. Game is in alpha stage, lot's of stuff missing or not working as intended.